Special event by Events Bohemia, Bear Educational Theatre and InDependent Original. 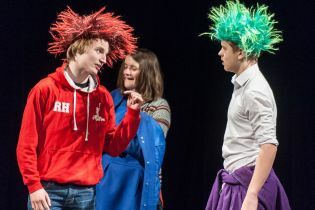 ClassinAction is three action-packed days of plays, theatre, workshops, events and fun. The event is held every year in February, in Prague, Czech Republic. 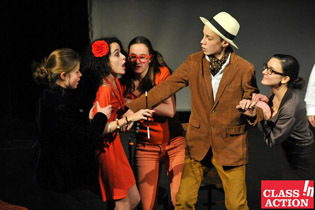 ClassinAction is intended for students of English from all types of schools and drama groups, in short anybody with any level of theatre experience aged 12-18 years of age. It is a unique opportunity for students and young people to meet, compete, and share inspiration with similar-minded colleagues from many different countries of the world. ClassinAction is primarily conceived to promote international understanding within the younger generation. It provides an exciting and superb forum where people from different cultures can find inspiration and learn from each other. It promotes the use of English as a tool for international communication and it also encourages native English speakers to communicate effectively with non-native speakers. ClassinAction also supports creativity and originality in young people. 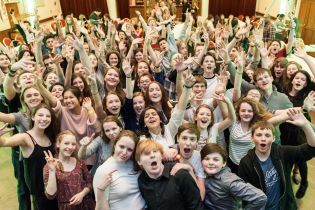 The venue is Prague, the capital of the Czech Republic, the dates of ClassinAction are 6th-9th February 2020 (Thursday-Sunday). The style and content of the performance is up to you, but you have to manage the time well to tell a strong story in a way that speaks loudly and clearly to people of different nations. Should you be experienced or inexperienced, native speakers or non-native speakers? ClassinAction welcomes a mixture of these categories. 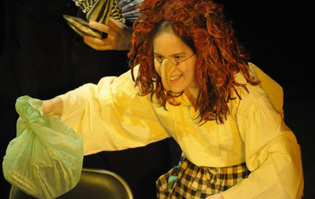 Even if you are doing theatre for the first time, you are very welcome. First timers always learn a lot from the experience of playing on a real stage and from watching their more experienced colleagues. ClassinAction is more of a showcase than a competition and everybody is welcome. Afternoon performances of mixed groups in theatre. Accommodation usually is in two-bedded rooms in 4*hotels and could be in more-bedded rooms in 3* and budget hotels. Please fill in and dispatch following preliminary booking form to make us aware of your interest. On receipt of the completed form we will contact you with a detailed information pack that will give you all the information to make a decision about your participation. Note: sending the preliminary booking form does not yet commit you to the project, it is simply an expression of your interest. Are you ready to take the Challenge? Yes? We are looking forward to see you in Prague at ClassinAction in February 2020 !!! © Copyright 2014 Events Bohemia, s.r.o.